To receive the beautifully designed CD Crow Speaks, please use the "buy now" link to the right. 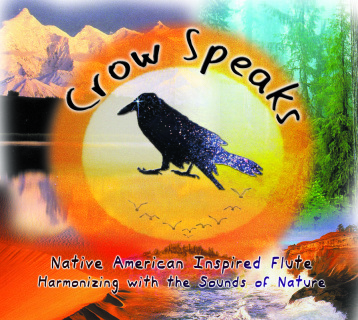 This is the best way to directly support the artist and the continued flight of Crow Speaks. For wholesale inquiries ﻿﻿including﻿﻿ healing arts professionals, retreat centers, yoga studios, and retails stores, please click here.